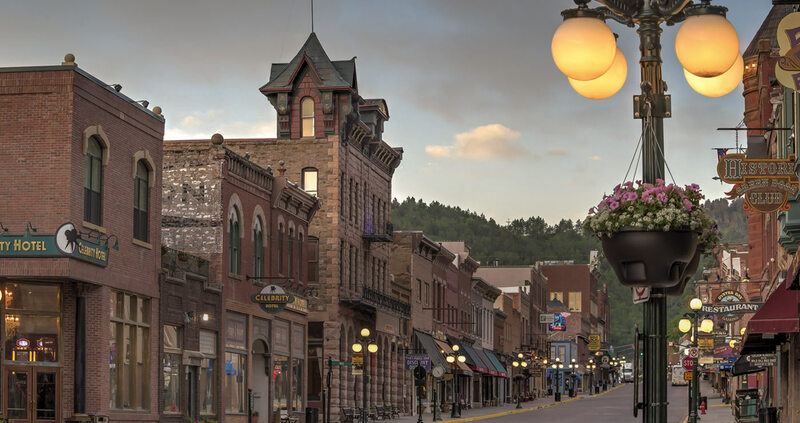 Let loose in Historic Deadwood, South Dakota. Unpack your bag in a stately, historic hotel, full-service property or top-of-the-line casino and resort. You’ll find brand name chains and locally owned and operated properties and boutique hotels. Take your pick of lodging. Room rates start as low as $39 (off-season). Experience pure luxury and pampering when you stay at a Deadwood Bed and Breakfast. Enjoy gourmet breakfasts and Victorian charm with genuine hospitality. Sleep under the stars, wake to the fresh smell of pine and be lulled by the crackle of a campfire when you stay at a campground near Historic Deadwood. Have your Old West history and your modern-day amenities too. Deadwood hotels, motels and resorts offer expansive modern suites, deluxe rooms, day-spas, restaurants, casinos and concert venues.